The total cost is £721.99, which is the lowest total cost associated with an iPhone 5c handset sold by the carrier. You can also pay £409.00 for the handset with monthly payments of £13, though this offers the same minutes, texts, and data, and costs subscribers the same total fee in the long run. To put this in perspective, 16GB iPhone 5c handsets with the carrier start at £38 per month (with no upfront cost) for unlimited data, unlimited messaging, and 2GB of limited data. In each cast, access to O2’s 4G LTE network is included. 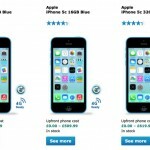 Not long after our original report went live, Apple added the iPhone 5c to its Apple Online Store in Britain. There, the unlocked model can be purchased for £429.00, though as of this writing the changes haven’t been reflected in the U.S. Apple Online Store. The big question, though, is whether the change will help boost iPhone 5s sales. Apple is also pushing on with its iPhone 5c advertising campaign, too, and this recently reached Tumblr, Yahoo, and The New York Times. Though as we’ll discuss below, international sales of the less expensive handset are still poor. China was a market where Apple’s anticipated iPhone 5c had been expected to succeed, but the price of the handset, once revealed, put customers off. This week, we heard that the iPhone 5c presently holds less than a two percent share of China’s iOS device market, indicating how unpopular the handset really is in the country. The news comes from Umeng, China’s largest app analytics platform (and reached us from the South China Morning Post), which used its network to estimate the share of China’s iOS device market currently held by the iPhone 5c. 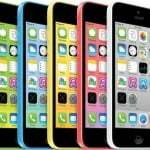 Though the iPhone 5s accounts for around 12 percent of active iOS devices being used in the nation, the iPhone 5c indeed holds a minute share of less than two percent. Apple’s iPhone 5, on the other hand, is the most popular of the three handsets, and accounts for some 15 percent of the iOS device market in China. Following its release, a survey indicated that the Chinese “dislike the iPhone 5c more than everyone else in the world,” and this likely has a lot to do with the fact that the “low cost” handset actually retails in China for the country’s average monthly wage. As of this writing, we’re not sure if the 8GB iPhone 5c mentioned above could make its way to China. If so, this could help increase sales in the country – but only if the price is right. We’ll keep you updated on this front. Finally this week, a report indicated that Apple is going ahead with its plan to build smaller, more local retail outlets in India’s big cities and tier II markets. We’d heard previously that such a move could help boost Apple’s market share in the country by around 30 percent, and now a report from The Economic Times claims that Cupertino is set to make the change. Apple distributors Redington and Ingram Micro, along with existing trade partners, will set up the new stores; Apple has reportedly said in recent meetings that it’s looking for its new retail outlets to be around 400 to 600 sq ft in size, according to three of the company’s trade partners. The plans, however, could “unfold slowly,” and so it may be some time before more concrete information concerning this initiative surfaces online. 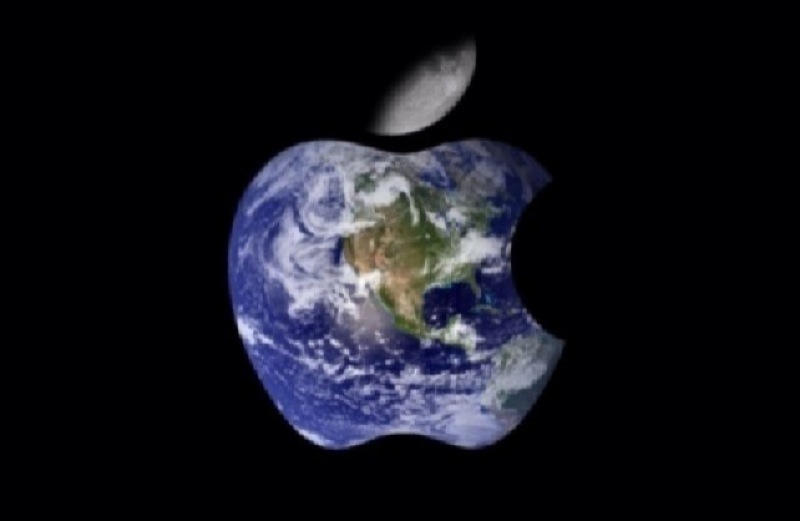 In the meantime, see: Farewell, iPad 2: Apple’s iPad With Retina Display Is Back, What Cannibalization? Mac Sales In Education Have Grown Since iPad’s Launch, and SellSimple Updated With iOS 7 Redesign, New Marketplace Integrations And More. AppAdvice International is a weekly recap of the international news published here at AppAdvice. The column goes live every Tuesday morning at 10 a.m. GMT.